The company makes use of cellular titanium designed according to scientific insights on suitable pore shape and size to optimize bone ingrowth. Emerging Implant Technologies GmbH (EIT), a German medical device manufacturer, says that it has received full approval from the FDA to commercialize its spinal interbody product offerings for a range of surgical procedures. 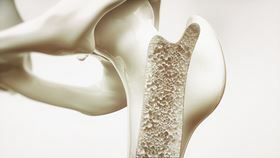 The company makes use of cellular titanium, a porous titanium structure that has been designed according to scientific insights on suitable pore shape and size to optimize bone ingrowth. Using selective laser melting (SLM) technology and proprietary post-processing methods, it has been possible to create a highly porous, osteo-influential titanium scaffold for osseointegration. The implants have already been used in over 10,000 cases in over 15 countries, including Germany, France, Australia, Korea and the Netherlands. This story is reprinted from material from EIT, with editorial changes made by Materials Today. The views expressed in this article do not necessarily represent those of Elsevier. Additive Orthopaedics LLC says that it has received FDA 510(k) clearance for its 3D printed titanium digital fusion implant.